Jewel Party Invitation Printable "She's a Gem"
Sprinkles Invitation Printable "Baby Sprinkle"
Announcement Welcome to CAKE Creative Co. 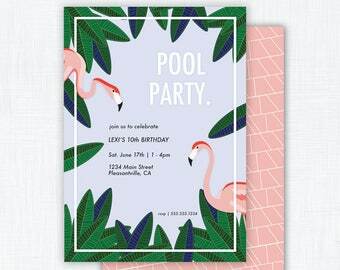 Here you’ll find my growing collection of custom printable invitations + party graphics. 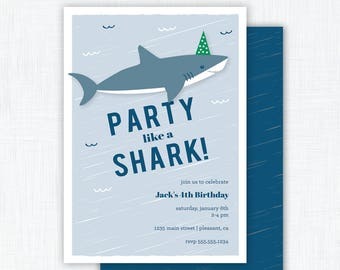 If you’re looking for a theme not included here, please don’t hesitate to e-mail info(at)cakecreative.co for a quote. I love creating custom orders. 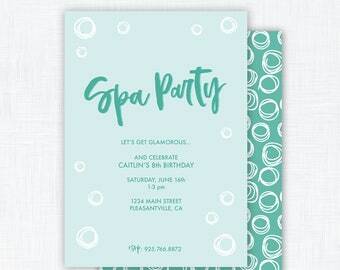 Welcome to CAKE Creative Co.
Spa Party Invitation Printable "Spa Day"
Flamingo Party Invitation Printable "Flamingle"
Shark Party Invitation Printable "Party like a Shark"
Nautical Party Invitation Printable "Ahoy"
Jungle Party Invitation Printable "Let's Get Wild"
Horse Race Party Invitation Printable "Derby Party"
Bowling Party Invitation Printable "Retro Bowling Bash"
Fairy Party Invitation Printable "Pixie Party"
Dance Party Invitation Printable "Dance Your Feet Off"
Daisy Shower Party Invitation Printable "He Loves Me"
Tea Party Invitation Printable "High Tea in the Garden"
Backyard Garden Party Invitation Printable "One to Grow On"
Beach Party Invitation Printable "Summer Sun"
Star Party Watercolor Invitation Printable "Starlight Starbright"
At this time we do not offer an option to print and ship. All files are available for e-mail as digital PDFs or JPGs. Please allow a 3-5 day turn around for a proof of your printable file - this includes personalization. Custom designs generally require 1 week for the initial proof. RUSH ORDERS: There is an $8 fee for all rush orders. 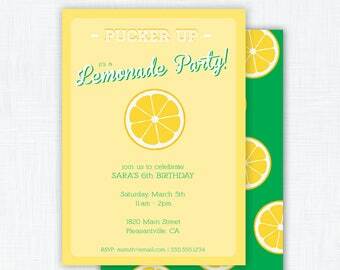 Please e-mail info(at)cakecreative.co with your specific needs and we will be happy to help if schedule allows. Paper: We recommend Paper Source as a resource for quality stationary and envelopes. 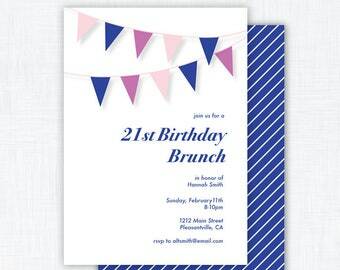 White or off-white cardstock will offer the best results. Printing: Files are sent as a PDF or JPEG upon request so that you may print from home or send to a local or online print shop (ie: FedExKinkos, OfficeMax). Colors may appear differently on paper than they do on the computer screen. To ensure quality printing, we recommend that you check the ink cartridges and re-fill or replace regularly. We also recommend running a test print before printing a large volume of files. Business hours vary. Please allow 24-48 hrs for a reply to your request. If you have any additional questions, please don't hesitate to ask... you can send a message through Etsy or directly to info(at)cakecreative.co. I'm loyal to my customers and want to make sure that you are satisfied with all products, timing and service. Thanks!